Gear for Golf Trips | Plan Your Own Ireland Golf and Scotland Golf Trips and Save! Having the right gear can make traveling easier. Here are some of my favorite products that I've used over the years. You should also check out my article How To Pack for Your Golf Trip. Disclosure: Some of the links below are affiliate links, and at no additional cost to you, I will earn a small commission if you decide to make a purchase. I recommend them because I think they will be helpful and add value to your golf travel experience. However, please don't spend any money on them if you don't need them or they don't help you achieve the goals of your next golf adventure. Thanks! The Last Bag from Club Glove shown from multiple angles. I think the Last Bag from Club Glove is the best golf travel bag on the market. The Last Bag is designed to hold a standard size carry bag and up to a 47" driver. There's also plenty of room for a couple of pair of golf shoes, foul weather gear, golf balls, and maybe even some of your other golf gear. You'll just want to make sure you keep under the 50lb limit for airline checked baggage. It's built to last a lifetime (hence, the name!). The Cordura fabric is super strong which is probably why they feel confident offering a 5-year, no questions asked guarantee. Even more importantly, the wheels are rock solid, which is critical because this is definitely the one piece of luggage you need to roll and not carry. Finally, it's collapsible and fits easily in the trunk or back of the van during your trip. 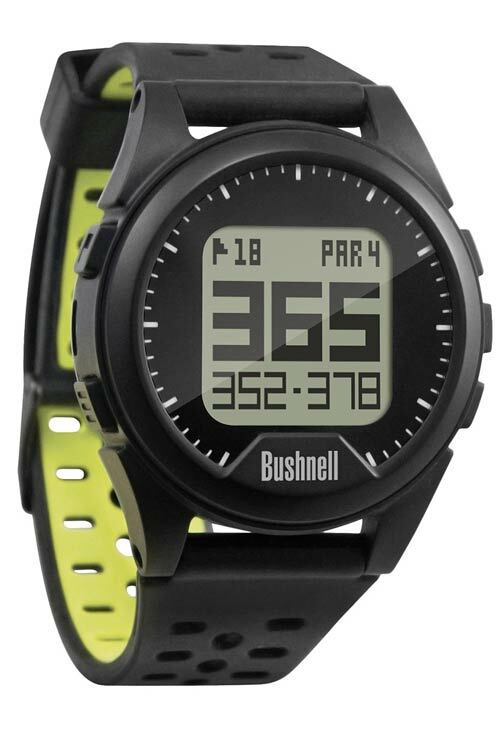 I’ve owned multiple laser rangefinders, had my eye on the Garmin Approach GPS golf watches, and even bought (and returned) the Arccos tracking system but I am thrilled with my decision to purchase the Bushnell Neo Ion GPS watch. I love the simplicity and accuracy of the watch — the opposite of the Arccos system. Very quick and easy to get front, center, and back yardages as well as hazards and bunkers. Exactly what you need to know, especially when you're on a course you’ve never played before (and you’re playing your approach shot from some other hole’s fairway!). And no hunting around for sprinkler head yardages and pacing back to the ball. The Neo Ion GPS Watch also has a great battery life for products like this. After the round, I still had 3/4 charge left. They claim it is good for three rounds on a charge — sounds about right. The Neo XS comes loaded with over 33,000 courses so you'll be all set for your next trips to Ireland and Scotland! Nobody likes to lug around extra stuff on a golf trip, least of all a bunch of dirty underwear that has accumulated after being on the road for a few days. I claim you need to pack only two pair of underwear for a golf trip of any length. Really! To pull this off you need to get two pair of washable, quick-drying travel underwear. 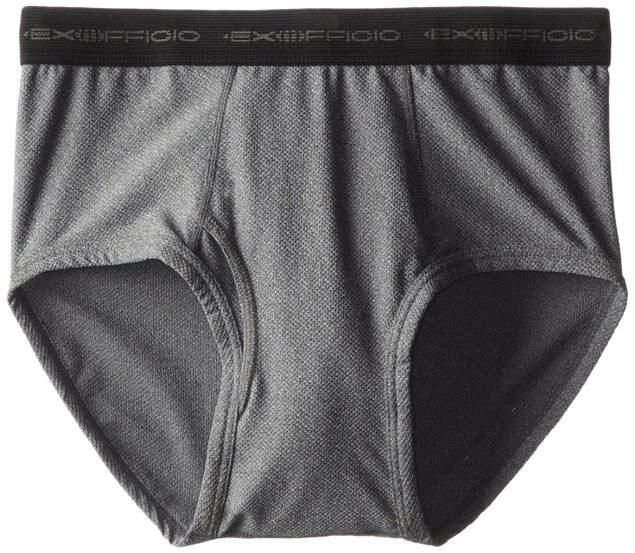 I like the Give-N-Go briefs from Ex Officio but they also have boxer brief styles in the same material. The fabric is lightweight and extremely quick-drying (it’s 94% nylon and 6% lycra) so you can wash it on the go and pack fewer pairs. To control odor-causing bacteria, the fabric is also treated with some fancy stuff they call Aegis Microbe Shield™. Sounds good to me. To understand how this all works, please read my article Two Pair of Underwear? Two Week Golf Trip? No Problem! and it will all make sense. I promise. Shipping golf clubs directly to the golf course or hotel saves you time and hassle at the airport. Whether you’re shipping golf clubs to Hawaii, to Ireland, or to Scotland, you can bypass the check-in line and skip the wait at the baggage carousel. Head directly to the course or hotel, where your golf clubs will be awaiting your arrival. All of Luggage Forward’s shipments are backed by their exclusive full money back PLUS $500 on-time guarantee, so you can travel with peace of mind knowing that your clubs will be delivered before your first tee time. Luggage Forward provides an all-inclusive pricing structure, which means that there are never any hidden fees or surcharges. Their predictable, straightforward baggage categories make it easy to determine the cost of shipping golf clubs to virtually any destination worldwide. Disclosure: Some of the links above are affiliate links, and at no additional cost to you, I will earn a small commission if you decide to make a purchase. I recommend them because I think they will be helpful and add value to your golf travel experience. However, please don't spend any money on them if you don't need them or they don't help you achieve the goals of your next golf adventure. Thanks!